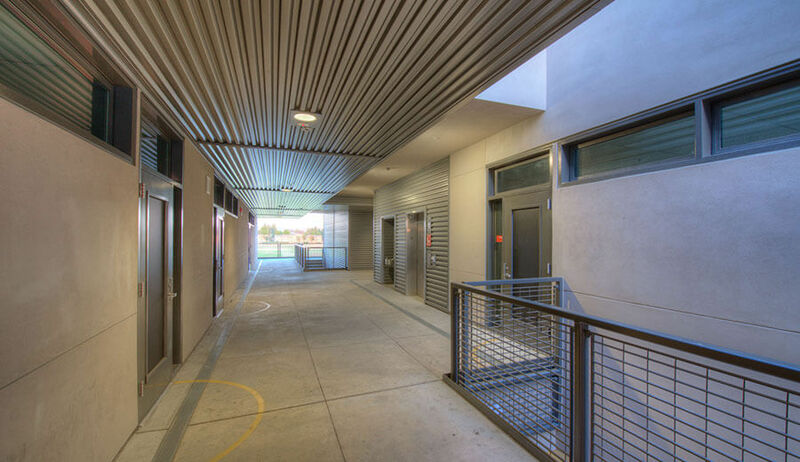 After being mired by underperforming contractors, the Sweetwater Union High School District turned to Soltek for its reputation for quality, craftsmanship and professional integrity to complete the Southwest High School project. 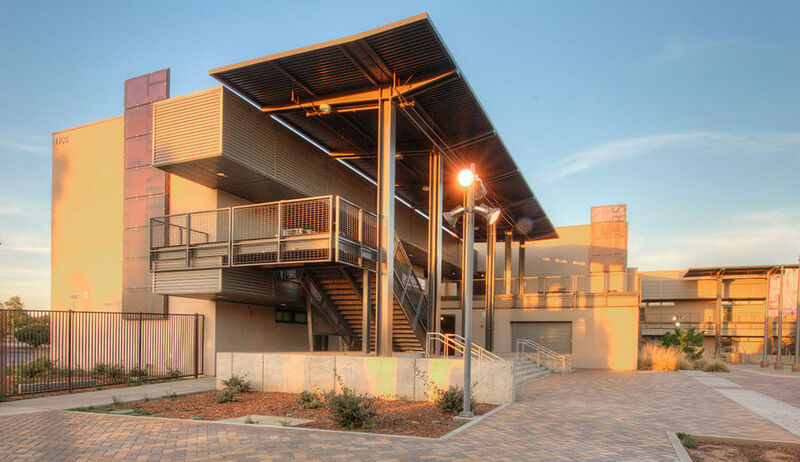 Soltek was responsible for completing the new two story classroom building, two lunch shelters, and new landscaping all while achieving LEED certification. The 43,500 sq. 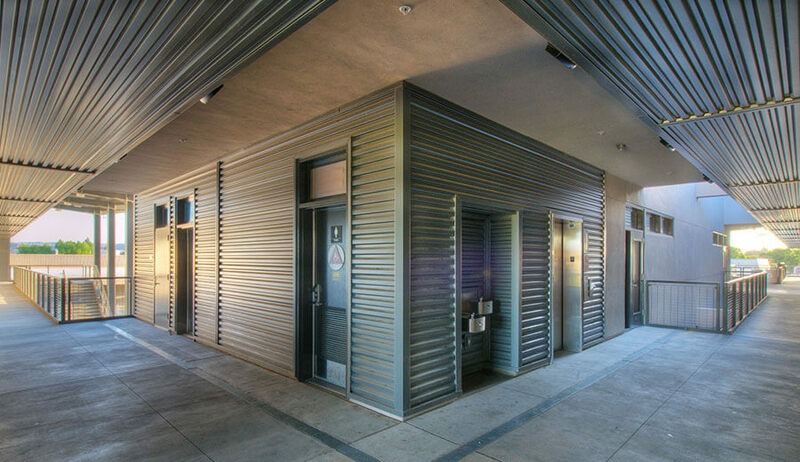 ft. new two-story building consists of typical structural steel members, metal stud framing covered with metal backed shear wall gypsum board overlaid with a combination of acrylic stucco and corrugated steel siding. 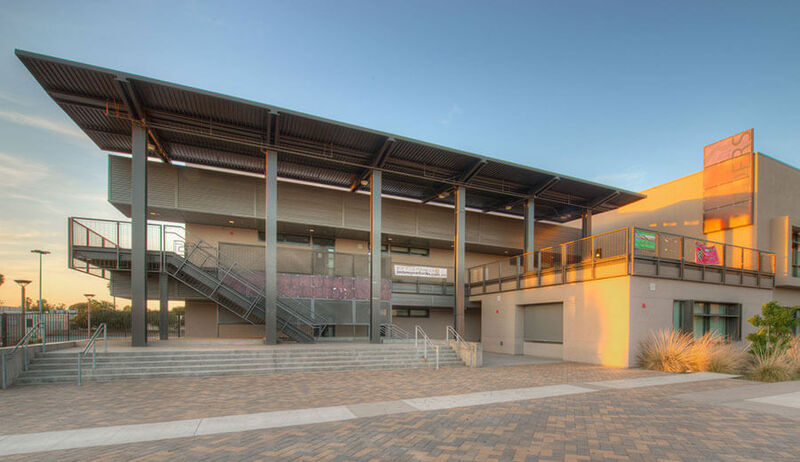 The building was designed to house 22 new classrooms, a state of the art TV production studio, campus ASB store, and after school program. 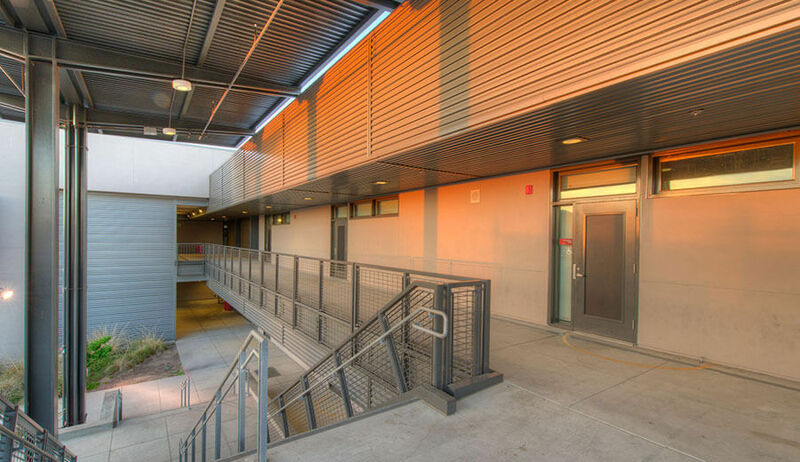 The interior construction is made up of wall to wall cabinets, vinyl wrapped tack panels, and architecturally-designed oversized hollow metal door and window frames filled in with large amounts of fixed glass and operable steel awning windows that allow vast amounts of natural light and ventilation into each classroom. The building sits on 2.88 acres and includes a new parking lot rehab with new landscaped islands, asphalt and striping. The building courtyard contains two new lunch-court shelters where students can eat and study during breaks and can be used for after school activities. 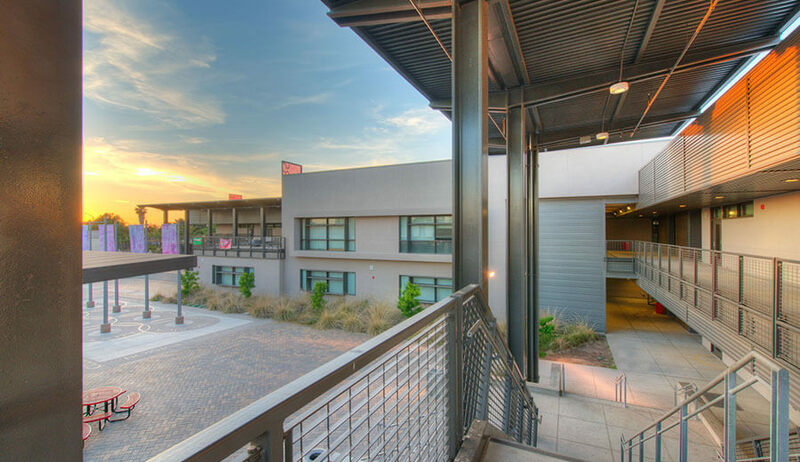 The courtyard has many visually appealing features, such as interlocking pavers, sandblast-treated natural and colored concrete, stainless-steel inset architectural rings, banner poles with custom artwork depicting the seven continents, eco-friendly landscape, and drip irrigation systems. Soltek Pacific is an Equal Opportunity Employer.